I use this build mostly for normal school stuff, and sometimes play some games like TF2, Don't Starve, FTL etc. I'm running Linux Mint 17.1 codenamed "Rebecca", and it's working perfectly without any major issues. All parts were bought from the Norwegian online store netonnet.no. Prices are converted from NOK to USD. CPU: Intel Pentium G3258 - Great budget CPU, planning to overclock with a 212 evo. Might upgrade to i5. 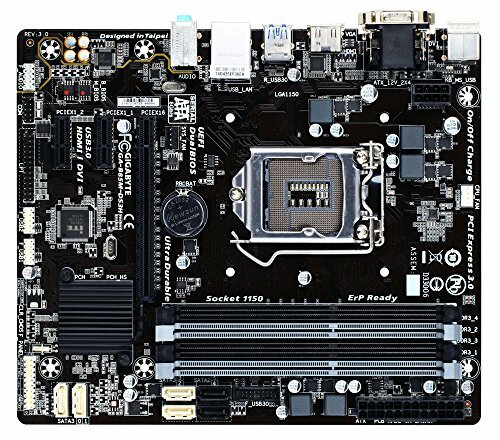 Motherboard: Gigabyte GA-B85M-DS3H - Cheapest gigabyte motherboard with 1150 socket. Works fine. RAM: Cruicial Ballistix Sport 8 GB - Good and cheap RAM, got it with the SSD in a bundle. SSD: Kingston V300 120 GB - Fast enough boot times, and with all my games installed, only about 40 gigabytes are used. GPU: EVGA GT 740 1 GB - Okay GPU for my use. Linux support is excellent. Did not go for 750 ti because of many having problems with it in linux. 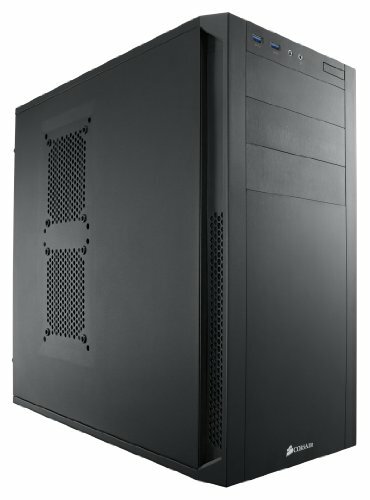 Case: Corsair 200R - Good value-oriented case. 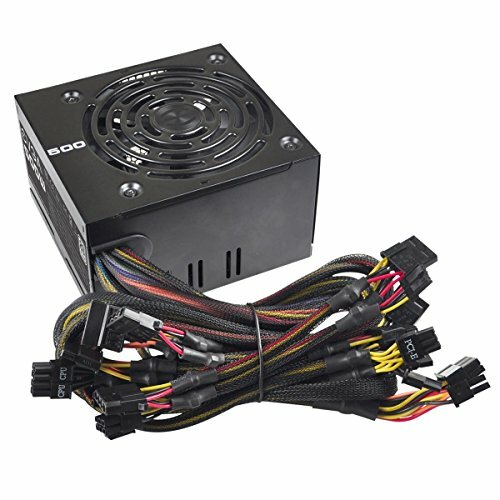 PSU: EVGA 500W 80+ - Came with the 200R, not great quality. Looks good. A build tailored to your needs with no unnecessary overkill. Not every game will work on Linux, no. They may work, but it can take a lot of tinkering with drivers and such. Thank you for choosing Linux. What games do you play and hows performance? I play mostly TF2, and get around 150-200 fps, 1680x1050 on linux. If you get that much FPS, I wonder what 4 way SLI 980's would do! For starters, that was 1680x1050 and not 1920x1080+ and one 980 won't really do more than 4 in games, especially something such as TF2. actually, you do get performance increases for having 980's in SLI. The cases where this does not occur are games that do not support SLI (tf2 does). My friend tried TF2 on Win8 with a GTX 750 Ti, and it got about 80-100 FPS. He had to get a worse processor, the G3240 to keep cost down. I guess the source engine is very CPU intensive. Therefore, I don't think 4x 980 with a G3258 would make that much of a difference. How do you not have issues running TF2 on Linux Mint? But... for me TF2 doesn't run well on Linux Mint for me. What's your issue with LM? Why doesn't it run well? Oh ok. Downvote undone :P That's strange though. Are you using the proprietary drivers? I have none. First thing I did after LM install was to run "sudo apt-get install nvidia-331 nvidia-settings". After that, run "nvidia-xconfig" to configure Xorg.conf. TF2 runs excellent. You mentioned wanting to overclock. With Intel's tightening up of the rules on overclocking, you'll likely need a new motherboard with a z87 or z97 chipset rather than your b85 (which is technically a business class board not intended for gaming). Make sure to avoid the h87 and h97 boards as well for overclocking. Intel has officially ruled that the method the H series boards were/are using to get around this is a "hack" so, shortly, finding an officially supported bios might be difficult. Probably the best bet would be never to update your chipset firmware if you find one that works out of the box... or just buy an officially supported z board like I mentioned. I was an Intel fanboy before I read this. It hurts. Now I see why people would go AMD no matter how Intel performs. :/ Then again I think this applies only to the k series, not the g3258. I think they intend to have the g3258 OC on cheap boards, but not the K series. Or did I get it wrong? OK, I'll just get a i5-4690K + Z97 motherboard bundle later if I need it. Don't see many linux builds on here. A great looking built with no fat to trim at all. The only suggestions I would have are to get a HDD to add some storage but if the 120gb fits your needs more power to you. Aside of the HDD maybe a better GPU, but you said you run TF2 at 150+FPS and that is all you play so I would say you are good here. Great looking rig, I would love to see more pics though. I will have to redo my cable management before taking any pictures.. I love it :) Very good for whats its for. 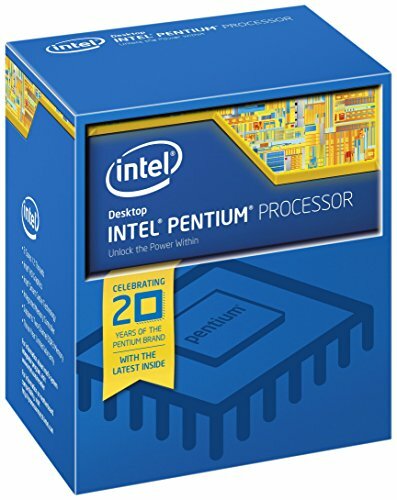 To bad you didnt find a 270X at the price i did... people would stop downvoting it because its not "good" (Ignore them its good for what you need) Enjoy that pentium! AMD cards are generally less supported in linux than Nvidias, plus there aren't many used graphics cards for sale in Norway at the moment. One disclaimer for the motherboard used, I also purchased one for my PC a month ago for my first PC and I found that the motherboard itself only has one spare Fan Header aside from the CPU fan, so if you have a Mid-Tower you're most likely going to need either a bigger motherboard or a molex to fan header connector, which I am getting soon. Yeah, I kinda found that out the hard way. Might get a splitter or an adapter. Do the issues with the 750 ti extend to the 750 non-ti as well? +1 I really like how neat and efficient the build is. It just doesn't feel like a budget build, but more like - I went out and bought what I need. I didn't get any jewelry. Both the 750 ti and 750 are Maxwell-based, and AFAIK, Kepler is more supported than Maxwell in linux. My friend just got a 750 ti, so I might borrow it to try in linux. Have you OCed yet? Any BIOS update needed? You probably want a GPU upgrade before you're ready for 1080p gaming. The GT 740 is fine for TF2 on the 1680x1050 monitor.. Yes, the GT 740 if of course enough for TF2 at 1680x1050, but for 1920x1080 you'll want a little more GPU power. I've already tried it on my 1080p tv. It's fine. For the games hes playing, a 740 is perfect. Even at 1440p TF2 would probably still be playable. If I find out I want to play those games, I'm just going to get a Windows gaming rig..
Why didnt you get windows if you game? Because Linux is free and most games will run in Wine. It could also be that OP prefers open source software to proprietary/non-free. I'm a newcomer to Wine, and I find the docs fairly unhelpful (lots of situation-specific recipes, but very little overarching discussion of how to solve problems on your own.) What do you use as a resource to help bludgeon Windows games to run in Wine? I haven't used Wine in a while since I run Linux in a virtual machine now. But when I used to play with it, I was using PlayOnLinux; which I believe should be in the Ubuntu Repos. It made the process a lot easier for the games that it does support.